Is The Plough on Sandygate Road under threat of closure? A bid to get The Plough pub listed as a community asset is due to be heard by the council on Thursday 4 June. If the pub were to be listed as an asset of community value it would mean that, in the event of it being put up for sale, the group lodging the application would be given time to come up with a bid to buy it. There is no guarantee that this bid would be accepted by the seller. With the rumoured threat of the pub being sold and turned into a convenience store, a group of regulars have launched an online change.org petition and a paper petition in the pub that you’re invited to sign. There’s also a Save the Plough Facebook community group which they’ll use to keep everyone up to date. The Plough is one of three remaining pubs in Crosspool and it is believed that a public house has stood on the site for around 400 years. 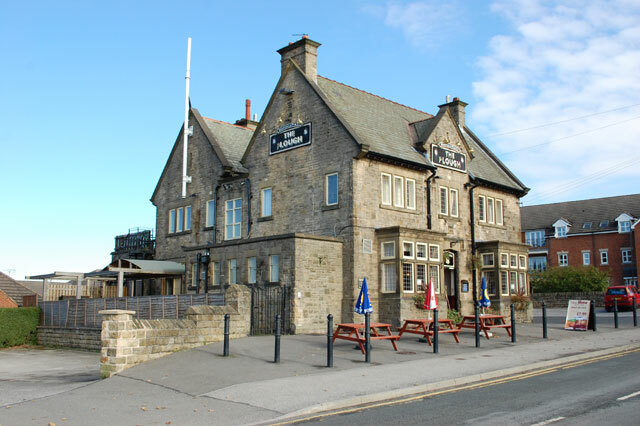 The pub is famously located opposite Hallam FC’s Sandygate stadium, the oldest football ground in the world. This entry was posted in businesses, council, crosspool, drink, food, hallam fc, pubs and tagged campaign, change.org, closure, community asset, convenience store, petition, sandygate road, supermarket, the plough. Bookmark the permalink. thank you for this information. Appreciated.